At Transcat we understand that precise and accurate pressure measurements are essential to our customers' in-process safety, compliance, and management efficiency. Our absolute pressure, gage pressure, and low pressure vacuum capabilities are ISO/IEC 17025-2005 accredited, and whether we're calibrating your pressure transmitters, deadweight testers, pressure gauges, or transducers, you can be assured that our hydraulic and pneumatic pressure calibrations will be performed with true SI unit traceability through NIST. 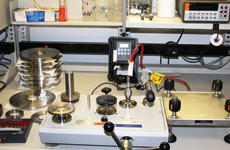 Our pressure and vacuum calibrations are also ISO 9001 calibration-compliant, performed by our highly-trained technical staff and industry-renowned metrology and quality experts. Transcat's pressure and vacuum calibration services are offered in each of our 17025 accredited calibration laboratories across North America. 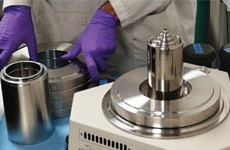 Additionally, our Houston metrology lab offers high-pressure reference level laboratory standards up to 72,500 PSI, and high-accuracy low pressure capabilities down to -60 inH20. We also offer custom Onsite and in-process pressure calibration services, designed for your process environment and performed to either OEM or custom specifications. Whether you're in a clean room or on a pipeline, have a plant full of pressure gauges or a single unit, you can trust Transcat's calibration services to consistently deliver a world-class accredited pressure and vacuum calibration. Don't see your brand on this list? We service products from thousands of manufacturers! Request a Quick Quote or review our Global Scope of Accreditation to confirm our capabilities. 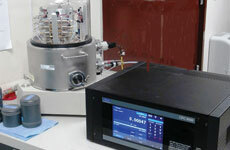 Request a Calibration Quick Quote today for Calibrations You Can Trust! Or Contact Transcat today!